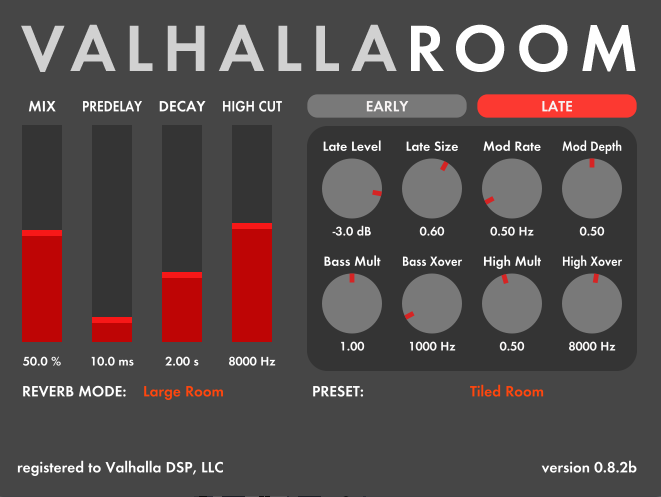 Valhalla DSP have posted details of their next release: ValhallaRoom is a new reverb plug-in that features several original reverberation algorithms, designed to produce tight and subtle room sounds, as well as larger hall sounds and huge ambiances. 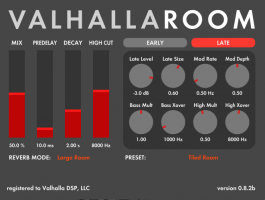 The goal of ValhallaRoom is to be a useful "workhorse" reverb, for subtle drum rooms that can be felt more than heard, lush halls, dense plates, and big ambient decays. The algorithm designs have been influenced by some of the "classic" room simulation boxes, as well as state of the art modern theory. ValhallaRoom will be released in the next few weeks. Price will be $50.